Just another great update to the Google Froms service. 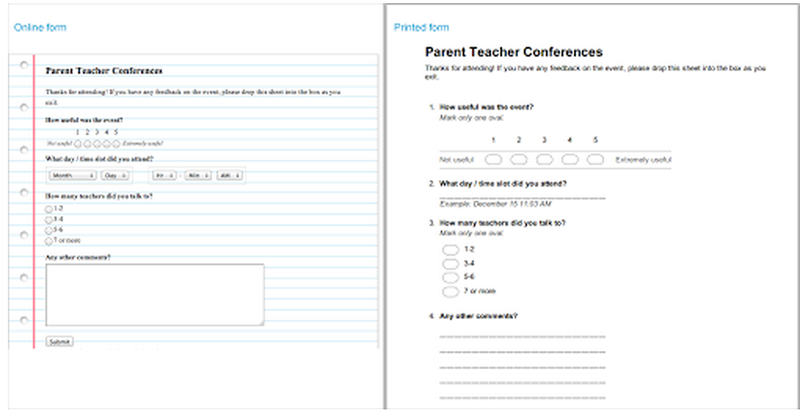 Google announced today that users can now print their Google forms in a print friendly format. Say goodbye to the days of trying to create a form or survey in a text document -- you can now print your Google Forms with ease. 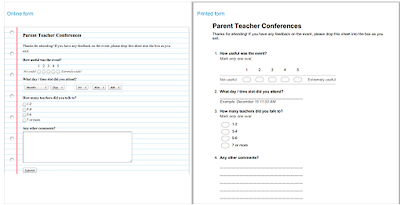 When you print a form, each question is formatted in a way that makes it simple for people to fill in when printed on paper. To try it out, just create a form and press the print button. With this new update, teachers now can have a better page layout for the quizzes, surveys, and polls they created using Google form. More important is the fact that this new feature comes in handy in one single click.